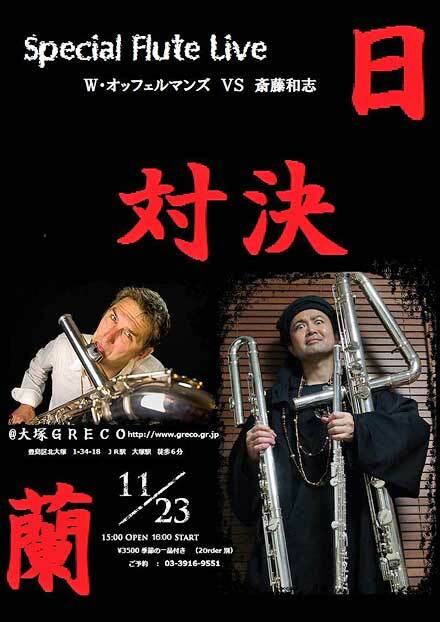 November 14th: a most unique concert by Duo Ueda Offermans with singing monks of the Obaku-shu sect at the occasion of '360 years arrival of Ingen' at the Kofukuji Temple Nagasaki. 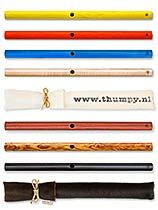 November 24th: Flute teaching at Sankyo, Ikebukuro, Tokyo. 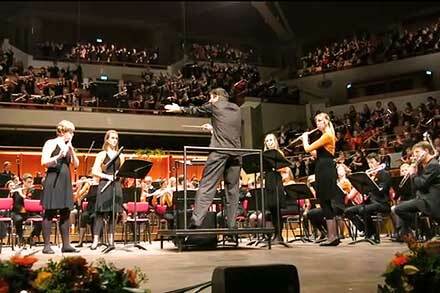 On 9th Nov. 2014 the world premiere of Eternal Winds by Wil Offermans was performed by a mega-orchestra of 585 flutists - a mixture of orchestral flutists, professionals, flute-students, amateurs and children - in a sold-out TivoliVredenburg, Utrecht (Holland) at the Netherlands Flute Academy 5th anniversary concert (directed by Emily Beynon, 1st flutist of the Concertgebouw Orchestra Amsterdam). Offermans conducted the work himself. 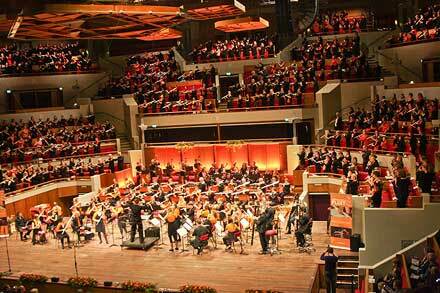 Other performers in this concert includes: flutist Emily Beynon, soprano Roberta Alexander, all round musician and flutist Thijs van Leer, percussionist Niels van Hoorn and trumpet player Eric Vloeimans. Click the video image above to see the video of the ‘Eternal Winds’. More at www.neflac.nl. 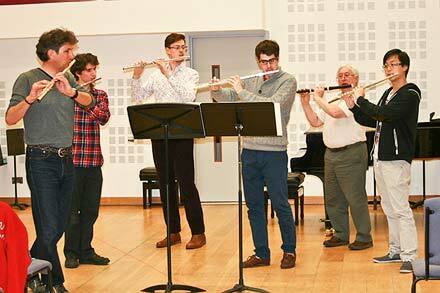 On October 11th, 2014 Wil Offermans presented a Flute Day for the flute students of the institutes of Aleph Heusden: H19 Oosterhout; Kunstpodium Dongen, Gilze, Rijen; and the Kunstencentrum Waalwijk. With workshops in the morning and rehearsals later on the day, about 30 flute students finished the day with a presentation concert with pieces by Wil Offermans, including: Luna y Sierra, Kojo-no-Tsuki, Thumpy, Made in Japan, Dance with Me and Jungle Dance. Click here to see the photo report or click the image above. 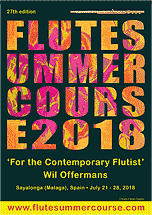 The 23rd international Flute Summer Course 2014 by Dutch flutist-composer Wil Offermans has been held from July 23th until 30th, 2014 in Sayalonga (Malaga), Spain with participants from Austria, Cuba, Denmark, Germany, Lebanon, Mexico, Netherlands, Spain, Switzerland and the UK. 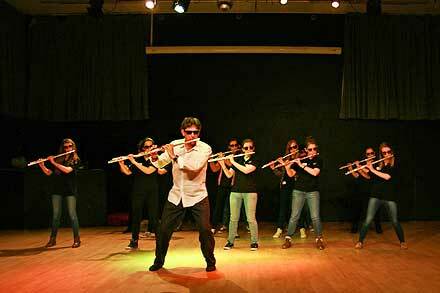 In this wonderful and inspiring ambiance and a climate of dynamic nature and cultural inspiration Offermans conducted the course, sharing his contemporary approach on flute playing with the participants. 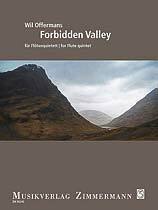 Main literature was Offermans' etude book For the Contemporary Flutist (published by Zimmermann a.o.). 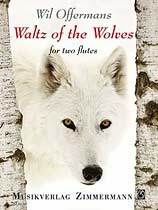 Other topics included extended techniques like circular breathing, bamboo tones, harmonics, multi-phonics and whisper tones; sound development; body movement; improvisation in performance and education; ensemble playing; ethnic flutes. 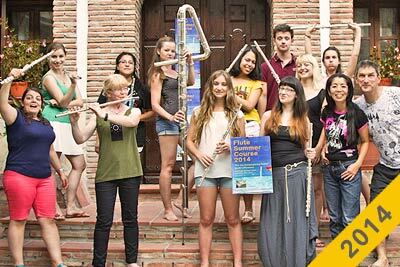 Click here to go to the Flute Summer Course Photo Gallery. 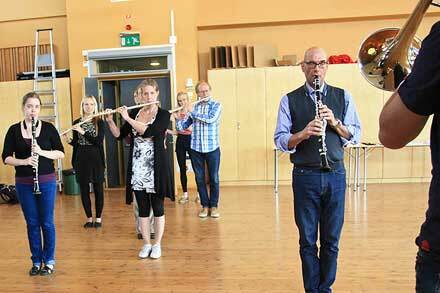 On June 16 and 17 Wil Offermans presented a duo concert with the Duo Ueda Offermans and workshops for wind players and teachers at the Örebro University Sweden as part of the summer seminar Blåsforum Creativity & Improvisation. 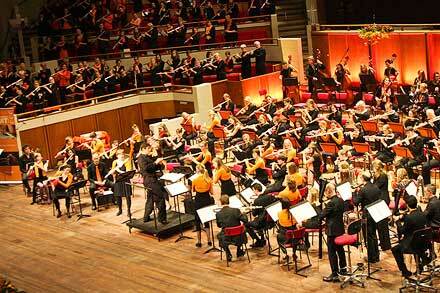 The program included: For the Younger Flutist games pieces, Thumpy and Tsuru-no-Sugomori. 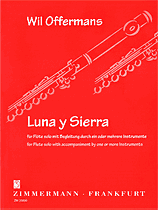 From 25th until 27th of April 2014, the 3rd Spanish Flute Convention was held in the beautiful city of Sevilla in southern Spain with over hundred concert, workshops and presentations. Between the many events, Wil Offermans presented a solo recital (For the Contemporary Flutist; Tsuru-no-Sugomori; Honami; Luna y Sierra and Thumpy) and workshop with Dance with Me. 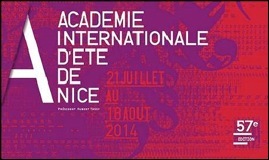 For more, visit the Festival Facebook and AFE-website. On March 28th and 29th, 2014 Wil Offermans presented a Flute Day for flute students of the music schools of Meckenheim, Meckenheim, Rheinbach, Swisttal (Bonn-area) in Germany. On 28th they started with a workshop for more advanced students (about 35 students). Next day was the Floetentag for about 60 students. After several workshops the day ended with a presentation concert, which included: Luna y Sierra, Kojo-no-Tsuki, Thumpy, Tsuru-no-Sugomori and Jungle Dance. Click here to see the photo report. 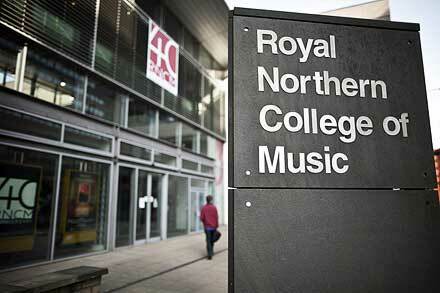 Masterclass at the Royal Northern College of Music (RNCM) in Manchester. 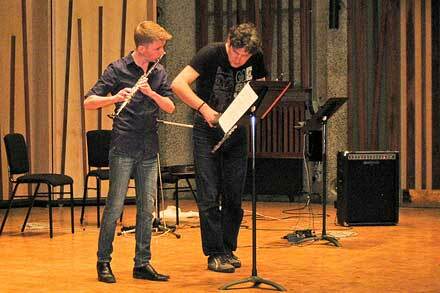 The program included: For the Contemporary Flutist, Tsuru-no-Sugomori and Honami. 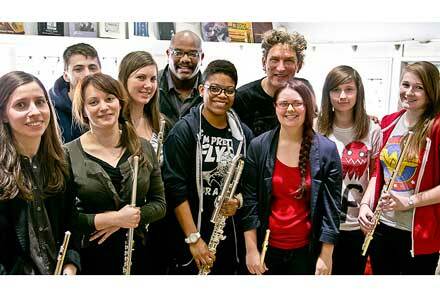 Flute classes at Just Flutes / Jonathan Myall Music , Croydon, London for students of Cris Hankin. The program included: Just a Short Version, Voices of Nagasaki and Bamburia. Masterclass at the Guildhall School of Music, Barbican, London. The program included Tsuru-no-Sugomori and Honami. 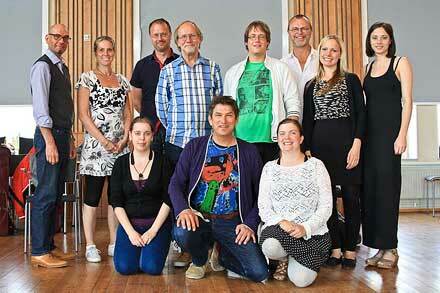 On March 22nd 2014 Wil Offermans conducted the Hampshire Flute Day at the Lantern Theatre in Romsey, Hampshire. The final presentation concert included: Luna y Sierra, Kojo-no-Tsuki, Thumpy, Jungle Dance, Tsuru-no-Sugomori and Dance with Me. See photos of the event here. Also, watch the videos of Dance with Me and Jungle Dance here below. On February 22nd & 23rd Wil Offermans was a guest at the Music School Köttmannsdorf in Carinthia, Austria, to present his Flute Day project. 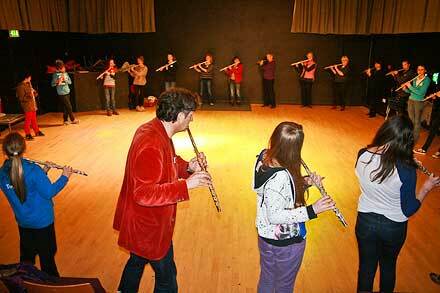 During the two days they worked intensely with a group of students and flute-teachers from Carinthia and other parts of Austria. The final presentation concert on Sunday 23rd included Offermans' pieces like Luna y Sierra, Bamburia, the Thumpy flute, Kôjô-no-Tsuki, Dance with Me and Tsuru-no-Sugomori. See the photo report of these days here (look for 'Köttmannsdorf').